San Antonio, Texas - For more than 500 years, the people of this nation, except those of Native American descent, have been immigrants. The "founding fathers" were all from immigrant families. Additionally, Hispanics have been a part of this land since before the founding of Jamestown or Plymouth Rock. In recent weeks, in a strange turnaround, the descendents of immigrants - i.e. those who are not of Native American ancestry-are now engaging and condemning the newest of its citizens - the children of immigrants born in the United States. According to the Pew Hispanic Center in their recent report, Unauthorized Immigrants and Their U.S.-Born Children, there are "5.1 million children born of immigrant parents, of which 4 million are U.S. Citizens." Our founding fathers established this fundamental protection (citizenship) meant to immediately attach at birth. In shedding a cast system, they recognized the inherent belief that the sins, burdens or limitations of the parents should not indelibly attach to the descendants; children have an independent right to improve themselves. This has imbued our country with a constructive way to allow for opportunity, based not on background, but on what is done with what one has through hard work. Such core values should not be shed in a futile effort, given the appropriately high burden that must be met to change the constitution. What this effort clearly constitutes is political drama or theater simply for election purposes rather than constructive action which has been and is a characteristic of this nation at its best. This is a country that stands on equality for all-not on equality for some. 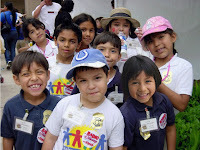 The National Latino Children's Institute (NLCI) believes that all children born in the United States have a right to citizenship and are under the protection of the U.S. Constitution. They are an integral part of this country's life and its future. 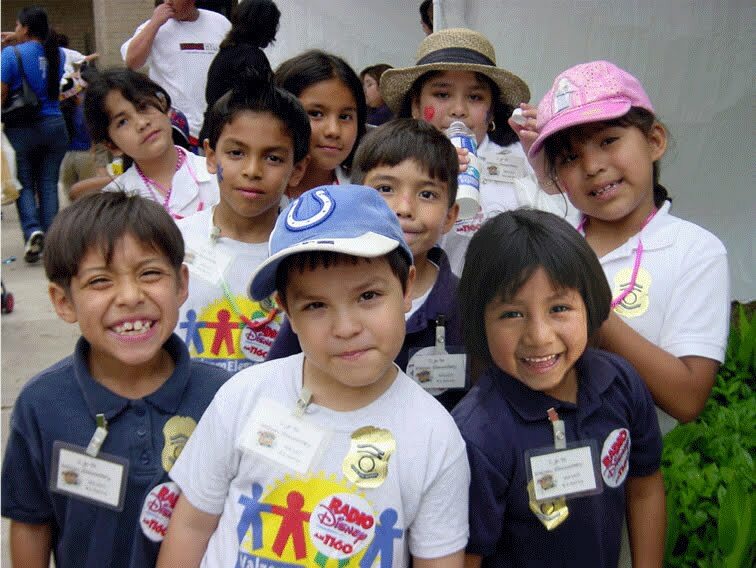 The National Latino Children's Institute will work hard to safeguard and protect children's citizenship rights. As stated by U.S. Congressman José E. Serrano on the Latinovations blog dated August 13, 2010 (16th District of New York), "...We cannot allow our country to slip further along towards a place where specific ethnic groups are made to feel unwelcome. We are a nation of immigrants, and a nation that has always supported the rights of children. Seeking to strip some children of their citizenship is not just wrong, it's un-American. The immigrant population, specifically Latinos, has an earned history of contributing to this country's development and will continue to do so; and the children are the center and most precious aspect of immigrant communities. As this county debates the issue of immigration, let us not utilize the children as political fodder to win elections and avoid the real issues of comprehensive immigration reform, job creation, health care and education. Instead, let us focus this country on solving the issues that impact the safety, rights, education, well-being and protection of all children. What do we say to the young people who were born in this country to immigrant parents and are right now serving in the armed forces of the United States in Iraq and Afghanistan? If comprehensive immigration reform is not addressed soon, some members of Congress, - and many citizens - will continue to blame the victim rather than fix the broken system. "It is not just Latino children but all children born in the U.S. of immigrant parents that will suffer. This nation will suffer greatly as well - it will no longer be a free nation but a police nation. It will no longer be a nation that is open to new ideas, but one that is entrenched in one view. To be fearful of everyone who is different is not a way of life; these are not the principles on which this country was built," said Josie F. Garza, executive director of the National Latino Children's Institute. NLCI believes that immigration reform is necessary, and that laws must be followed, but it is also imperative that the children of immigrants, all immigrants, not be punished because they were born in this country. NLCI urges you to contact your U.S. Members of Congress and voice your concerns that the act of changing the 14th amendment will be detrimental to our country. To use children born of immigrant parents as the basis for denying citizenship to some under our constitution is not acceptable. ¡ya basta! Enough is enough! Children cannot speak for themselves on this issue, so the National Latino Children's Institute calls on all children's and human rights organizations and individuals to support the right of U.S. born children to their citizenship by raising a united voice on their behalf. Join NLCI in the fight to support the most vulnerable population-the children-by fighting against changing the 14th Amendment of the U.S. Constitution and supporting comprehensive immigration reform. To sign on go to www.nlci.org.